Which running back is currently the most undervalued in our latest dynasty rankings? Corey Clement - Clement appears to have carved out a decent role for himself with the Eagles. His role in Philadelphia's Super Bowl win also shows the trust that the Eagles' coaching staff appear to have in him. His current rank of 63rd among running backs puts him below Marshawn Lynch, who is near the end of his career, DeMarco Murray who is unsigned as of this article, and Mike Davis who is buried on Seattle depth chart. Clement's role has the potential to grow in the coming seasons and he is a very solid sleeper pick in dynasty leagues. Which wide receiver is currently the most undervalued in our latest dynasty rankings? Allen Hurns - With the departure of Dez Bryant, Allen Hurns could see a solid boost in his fantasy value. Yes, the Cowboys drafted Michael Gallup and Cedrick Wilson to help address that loss, but Hurns has shown he can post impressive numbers with solid quarterback play in the past. I really do love the upside potential here. Which quarterback is currently the most undervalued in our latest dynasty rankings? Andy Dalton - Look, am I saying Dalton will be the league MVP? No. However, this is a very solid fantasy quarterback who people love to hate on for a variety of reasons. I mean, he is ranked behind Eli Manning who fantasy owners love to put down, Ryan Tannehill who is coming off a very serious knee injury and who lost his best receiving target, and Tyrod Taylor who is not only in Cleveland, but who has a very tenuous hold on his starting position with the addition of Baker Mayfield. I think I'd take my chances on Dalton's worst season on any given year over many of the best seasons of several quarterbacks ranked higher than him. Kansas City is no joke. The Titans just don't have the firepower needed to keep pace in this one. I think the Chiefs will walk away double digits winners. The spread in this game has tightened the most since it's line was first posted. However, the uncertainty around Freeman actually leads me to believe the Rams might win this one easily. The Bills are energized coming into the playoffs and while I think they'll exit in the first round, I think it will be closer that the specified spread. The Saints are so much more balanced this season. They have a solid running game, depend less on the pass, and their defense isn't the train wreck it's been in previous years. Meanwhile Carolina feels like it's playing on fumes. New Orleans will win by at least a touchdown. 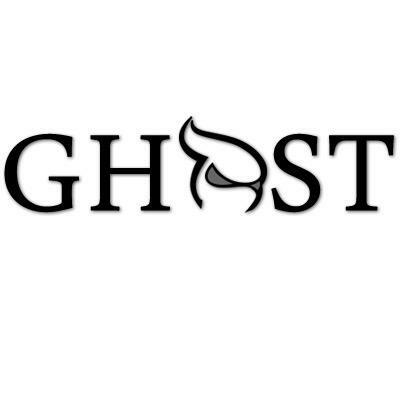 The FFGhost is a fantasy sports expert at Dynasty League Football.